A few hours after they were arrested on suspicion of arson, Paul McCartney and Pete Best were deported from Germany. After being released from St Pauli police station after being held overnight, the pair went to their new lodgings above the Top Ten Club to get some rest. In the early afternoon, however, they were awoken by heavy banging on the door. Best opened the lock and was greeted by two plain-clothes policemen. 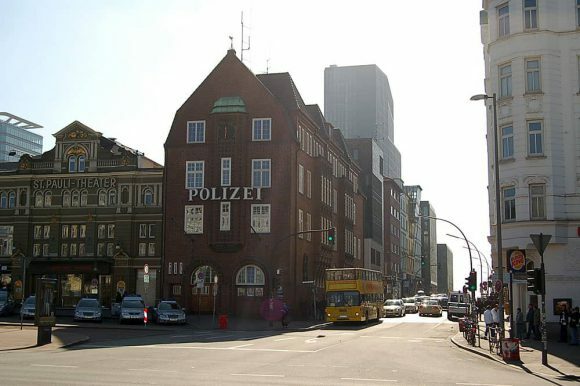 The two Beatles were told to get dressed quickly and were taken by car to Hamburg's Kriminal police headquarters. The officer in charge, Herr Gerkins, told them they were to be deported at midnight on an aeroplane to London. They were taken back on last time to the Top Ten where they were given five minutes to pack up their possessions; Pete Best was forced to leave his drums behind. They were then held in prison before being escorted to the airport in the evening. The Beatles were not entirely sure why they were being deported, as their limited command of German made it difficult to understand the police procedures. Their request to telephone the British Consul was refused. McCartney and Best arrived at London Airport on 1 December 1960. They spent their remaining money on a bus to Euston Station and a train ticket to Liverpool. John Lennon stayed behind in Hamburg for a while, and Stuart Sutcliffe chose to move in with Astrid Kirchherr.